Blog / REBRANDING: IS IT TIME? There is definite value in rebranding. It can breathe new life into your business by giving your brand relevance and differentiation. It can help you attract new customers, draw better manpower. If done well, it can even endow a premium-ness and value that justifies higher pricing. No wonder, most brands and organisations invest in rebranding or brand refresh every decade or so. Consider iconic brands like Coca Cola, Pepsi, Apple, Kelloggs, Proctor & Gamble. They’ve all changed over time – maybe not all radically, but subtly yet surely. In fact, many a time, it makes sense to stick with your core branding so as to hold on to the recognition and equity in the market, and just opt for a brand refresh that will reflect your company’s evolution and prevent you from looking dull and dated. Your geographical presence has grown, and you want to convey this to your target audience. Or your name is not understood in other countries. 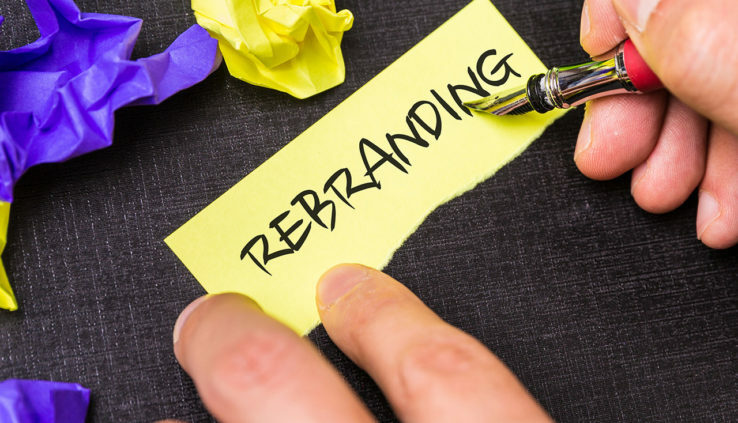 Rebranding with re-positioning can help you overcome these challenges. Maybe your offerings have increased over time, and messaging is scattered and inconsistent. You seem to have lost that one unifying brand story. This loss of cohesiveness can be detrimental; a rebrand can set things right. When you started your business, you may have enjoyed certain USPs. Today, there may be many more me-too players so you’ve lost your edge. Or maybe those USPs are not relevant any more. It’s time to discover or create new unique value propositions and communicate them through rebranding and repositioning that appeal to your potential consumers. You have new and diverse products in your portfolio. You are making mergers & acquisitions to grow markets. Your strategic objectives and original goals have changed due to unforeseen market opportunities in technology, markets, etc. You have developed new capabilities that the market is unaware of. Your brand needs to adapt and align with such changes. With the growth of consumer activism and social media, it doesn’t take long for a mistake or some negative experience to spread like wildfire. Before you know it, your reputation is dirt. Rebranding, combined with tactical firefighting, can help you rise from the ashes and change the way you are perceived. Your logo is boring. The font looks ancient and out-of-sync with today’s consumer preferences. The colour doesn’t quite cut it anymore. The design doesn’t reflect the energy within. This makes the company look outdated, lacking appeal for modern target audiences. And all this makes you feel embarassed when handing out your business card. It’s time to contact a rebranding agency. Brand architecture: Whether you’ve been involved in mergers & acquisitions or grown your portfolio or expanded your market, it’s important to consider the impact on your brand architecture. You may need to carefully plan your brand architecture to create a unified, cohesive brand narrative so that customers and other stakeholders are not confused. Brand promise: This has to be authentic, unique and believable – a promise you can honestly claim and customers can trust. Only then can you expect brand loyalty to follow. New brand launch: A rebrand takes months of hard work and plenty of strategic, creative and design thinking. When it’s finally ready, a proper well-executed roll-out is called for – to unveil it to the public and convey it to your stakeholders. Advance planning, unveiling and events will give your new brand the launch it deserves. Interics Designs is a strategic brand consultancy and multidisciplinary design agency with over 2 decades of experience in branding, rebranding and brand promotion for leading B2B and B2C companies. Their Frugal BrandingTM is specially designed to cater to the branding needs of startups and small enterprises. Talk to Interics to see how they can create a more powerful and relevant brand for your business – with corporate identity programme, brand architecture and integrated branding.